The season of 2019 for cannabis seeds has arrived. The cannabis seeds are selling like hot cakes. Which seeds are the top sellers? Learn with us what the most popular cannabis seeds are and discover the trends of growing cannabis in 2019. The reason for our Private label Cannabis seeds selling so well is that the quality is equal to that of the known brands. Dutch-Headshop Private label seeds for a start, have equally strong germinating power as, for example, Greenhouse Seeds or Royal Queen Seeds. Additionally, we also have many of the same species in our selection as the known brands. Super Silver Haze, Auto Bubble Gum and Auto Northern Light for example. A few years back, we noticed the appearance of cannabis seeds on the market that contained a lot of CBD, CBD Crew marketed CBD Therapy and CBD Shark Shock . While we first thought that CBD-rich cannabis would be a niche, we had to adjust our assumption last year Even known brands like Barney’s Farm and Dutch Passion marketed, besides new THC-rich sativa’s and indica’s, more CBD cannabis seeds. And then suddenly Medical Marijuana Genetics emerged. The founders started their company with a mother cannabis plant with a 20:1 CBD:THC ratio. With this exceptional plant they have won several prizes. The advantage of it is hardly notice a high from this powerful nedicinal plant. And the “CBD-ceiling” has not been reached yet. If we have to predict the trends from these growers, then we expect the CBD-percentages to keep increasing. We read stories about TBD:THC ratios of 30:1 and CBD-percentages of up to 25%! It all happens in the States. Thanks to the increasing legalization in the United States, there is intense experimentation on the other side of the Ocean with the growing of new species. American classics like OG Kush have always been popular in the Netherlands. Now we see an increasing demand for newer strains from the US. Girl Scout Cookies and Blue Dream, the most popular new specie from California, we have therefore added to our selection for you. Order 5 cannabis seeds of the lovely feminized Blue Dream, or choose for the autoflower variant with Blue Dream Auto. The Dutch coffeeshop top sellers remain very popular with us as well. Cannabis with illustrious names like Amnesia Haze, Northern Light and White Widow have been popular for dozens of years. Also in 2019, these top sellers in Dutch coffeeshops are the most sold cannabis seeds. This is partly because we naturally like to smoke or vape our trusted cannabis, but also because we know what to expect during a cultivation. A successful cultivation with a high yield? Why would you re-invent the wheel the year after? We understand! Still the Dutch classics are not for everyone. That is one of the reasons for the increasing demand for American cannabis. Surprising then to see our Autoflower Mix doing so well. 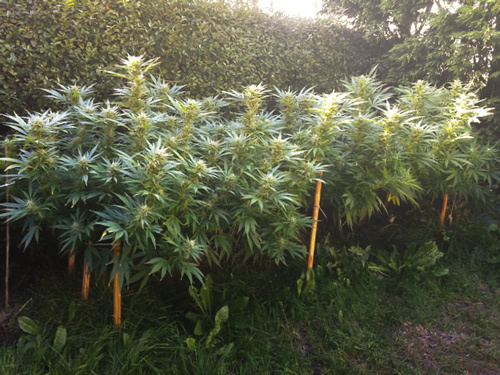 That surely is not just because you can try out which cannabis you can grow the easiest. If you have always wondered if there is a flavor difference between the different species of cannabis, a mix is the way to try it out. Cannabis with a distinct and original aroma had a diminishing demand last year, but for connoisseurs the demand for this year is increasing again. The prize-winners Pineapple Chunk from Barney’s Farm and Exodus Cheese from Greenhouse Seeds really jump out. Pineapple Chunk is a relaxing, minor indica cannabis with the flafor of sweet pineapple and a high percentage of THC of a good 25%. 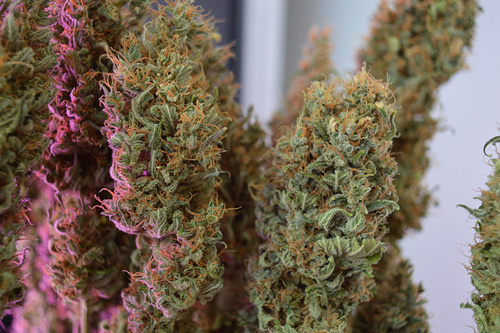 The Exodus Cheese however, is a mayor sativa plant with a lot of sideways branching. This makes her especially suitable for the ScrOG breeding technique. Exodus Cheese does not have a distinct cheesy flavor, but has indeed got an earthy or herbal flavor. Are you not growing for the first time? Then you can experiment with Exodus Cheese very well with advanced growing techniques! More and more people see the usefulness and pleasure of growing cannabis ourselves. With self-grown cannabis you know exactly what it contains. 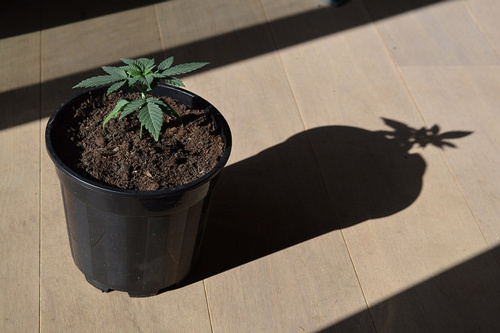 You know for sure which specie it is, which nutrients to use for your plant (organic) and it saves a lot of money if you grow cannabis yourself, instead of paying a fortune for it at a coffeeshop. Are you a first time grower? Then we gladly recommend you to start with an autoflower cannabis plant. 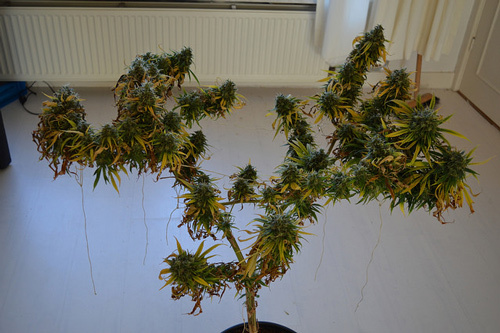 Autoflowers start flowering by themselves after a certain amount of time. It makes the growing of cannabis extremely simple. Even you can grow your own cannabis! Plant your seeds in April and enjoy your home grown cannabis by September! Have you been able to Make your Choice yet? Our Customer Service is Happy to Assist! Do you have any questions about what the best seed is for you after reading this article? Contact our customer service. With all our experience we can offer excellent advice.